When I decided to look for a website that I thought I could go to for "help" is the moment I realized that I have a major problem. Let me start by introducing myself. I am Caroline a mother a full time student, a full time employee and a full time gambler. 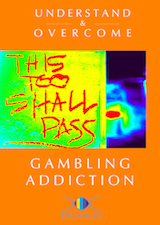 I have to be honest I do not believe myself to be addicted to gambling and my therapist agree's. I have been actively visiting casino's for about 2 years now. I have spent student loan money, entire pay checks and have gotten a loan from everywhere that would give me one. There's a lot in life I'm not sure of. I just hope I'm using this program correctly. I would surely be sad if I found out that my hold night has been wasted because I'm not really a computer friendly person. I too have been looking for a program like this for a long time. I have such low self-esteem it's not even funny. In the 1980's I was diagnosed with Bi-Polar Disease. Not that I'm blaming this goofy gambling habit on that. It's just that I should have known better to mess with gambling. With my mood swings and all. And again why didn't I seriously act on this.